The gents toilet door in the resturant at the Nikko shrine. I had great difficulty getting in! 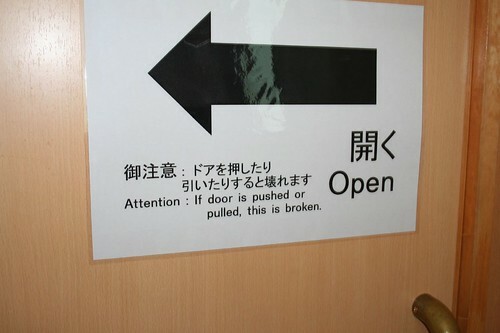 I read the sign a few times pushed the door and then just got confused. It wasn't until a Japanese person came and opened the door for me did I understand the sign!